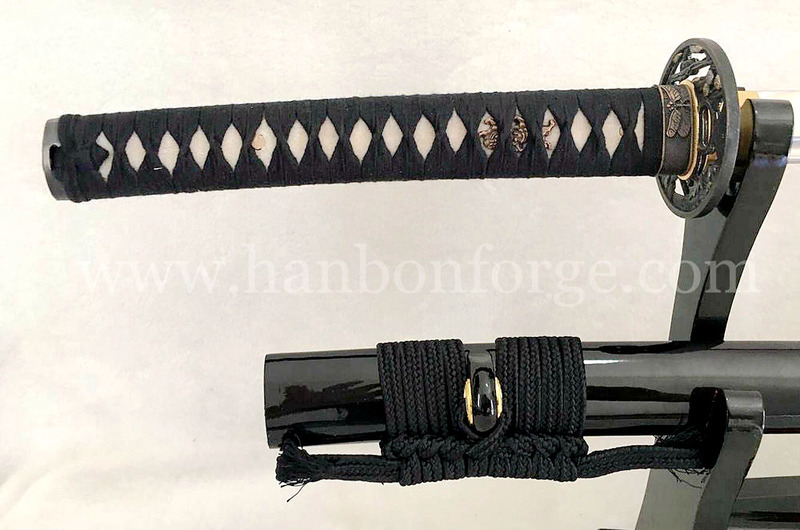 This katana was made for our UK customer Mr. Cree. He ordered this sword on 11th August, and we completed it in 6 days. 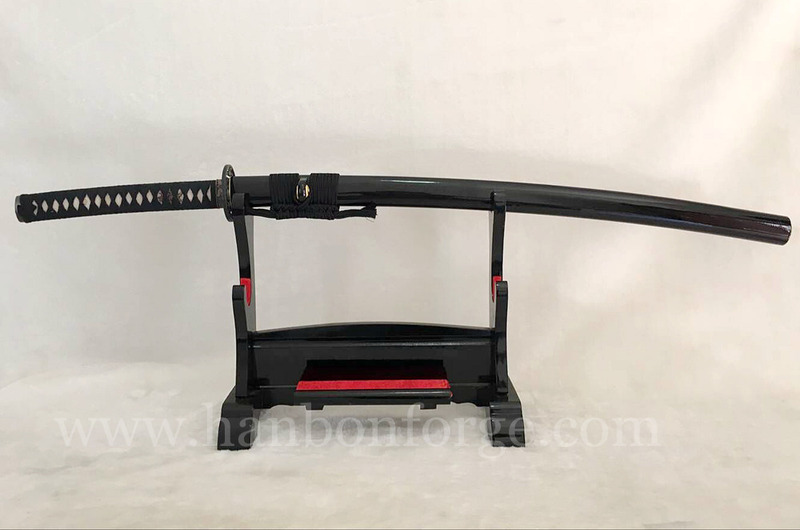 This is a 1060 high carbon steel blade katana, the blade has long HI(blood groove), which allows for a lighter blade and audible feedback when swung. 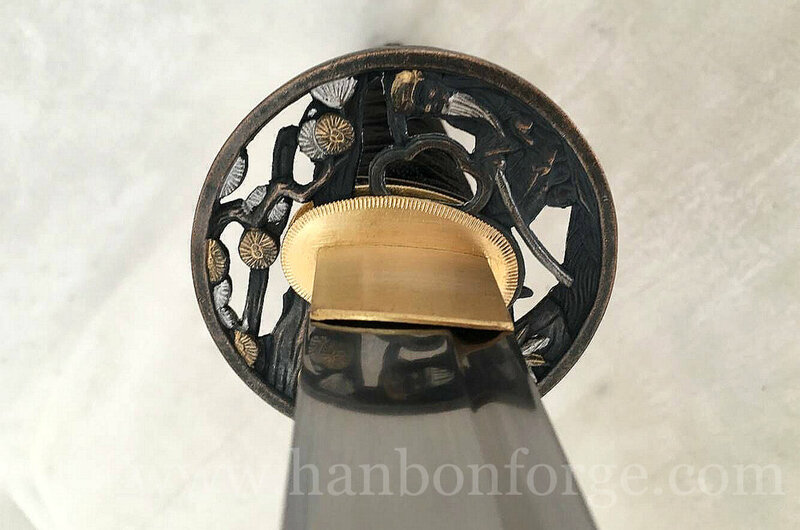 The tsuba(guard) was made of high quality alloy. The saya(sheath) was made of hard wood with black high gloss finished. The tsuka-ito and sageo are black synthetic silk. 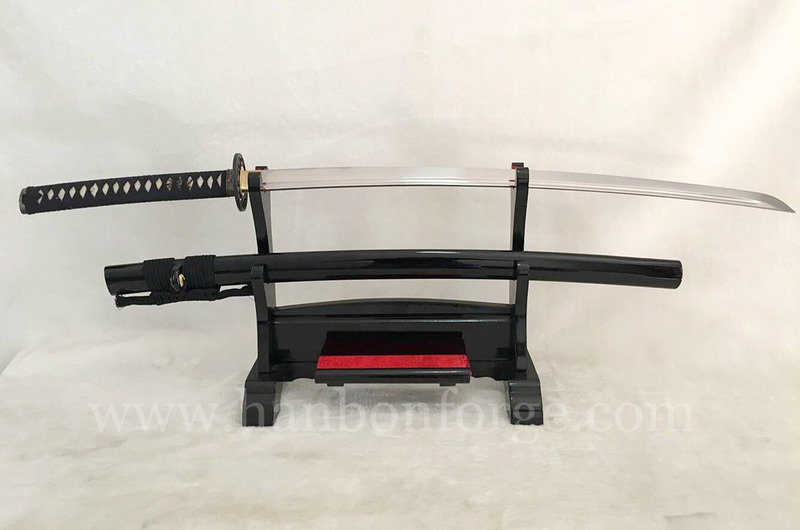 This sword has been hand polished and hand sharpened, it is very sharpened, super, truly battle ready and very suitable for iaido and kendo superior. This is beautiful, what would something like that cost.